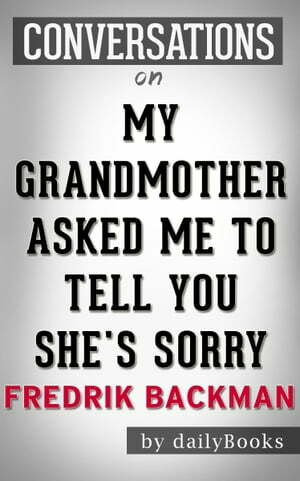 Collins Booksellers - Conversations on My Grandmother Asked Me to Tell You She's Sorry by Fredrik Backman by dailyBooks, 1230001216974. Buy this book online. Elsa is a special needs child who is unable to make friends at school and because of her parents’ divorce, she is even further affected. However, she does get along great with her grandmother. When her grandmother dies, Elsa is devastated. After her death, Granny gave her the task of delivering letters to different people whose past she wants Elsa to understand. Woven in the plot of My Grandmother Asked Me to Tell You She’s Sorry are the fairy tales that Granny told Elsa over the years. It is up to Elsa to connect the dots and understand which fantasy characters from the “Land of Almost Awake” are represented by whom in real life.